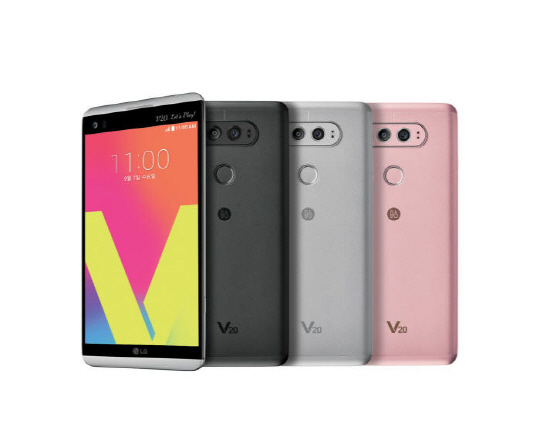 LG Electronics which released their new flagship smartphone 'V20'on Sep,29 is slated to compete for market share in the absence of Samsung’s Galaxy Note 7 in Korean smartphone market. LG went on aggressive marketing including slashing the price of G5, their previous flagship phone which was released march this year from 836,000 won($736) to 696,000 won($616). Customers who are familiar with Android-based smartphones are likely to prefer smartphones from Google and LG, while others who have lost trust in the Samsung brand are expected to take this opportunity to switch to Apple’s iOS-based iPhone models. LG is trying to gain domestic premium smartphone market share as much as possible before Apple iPhone 7 and 7 plus's Korea relaese date, Oct 21 and Google’s new premium Pixel and Pixel XL smartphones upcoming release in Korea. However, many Korean netizens pointed out that LG should lower the price of V20 to attract Galaxy Note 7 owners looking for alternative high-end smartphones, not G5 which was already admitted 'failed product'even by LG itself. The LG V20 is slated to launch in the US by Oct. 28.